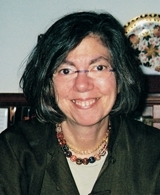 Jane O’Connor, an editor at a major New York publishing house, has written more than thirty books for children, including the New York Times bestselling Fancy Nancy books. She is also the author of the adult mystery, Dangerous Admissions. I don’t know what it is about fall – the earlier twilight, the (slightly) cooler temperatures, or the thinning of the sunlight – but I always find myself reaching for mysteries at this time of year. When I was offered Almost True Confessions to read and review, therefore, I jumped at it. My jump was successful. This is a comic mystery, but that doesn’t mean plot points suffer in order to go for a cheap laugh. Instead the mystery comes first and the comedy mostly comes from the life of main character Rannie, which lends the story a truthfulness that might not be present otherwise. While this is not the first book to feature Rannie Bookman, crime solving copy editor, it’s the first I’ve read, and I found myself completely engaged. I liked the main character, liked her lover and her children and all the other supporting characters, and was kept both amused and interested for all 314 pages. 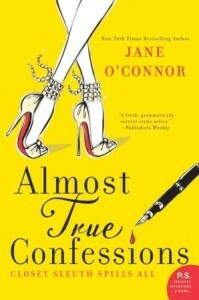 The copy of Almost True Confessions that I read is an uncorrected proof, and there were a couple of funky grammatical errors and typo-like mistakes that are most likely corrected in the version the public will see, though they don’t really distract you from the story unless you’re a very careful reader. Bottom line: Jane O’Connor’s writing voice, at least in this novel, is funny, smart, and energetic, and I’d love read more of her work. Goes well with a chai latte and banana nut bread.